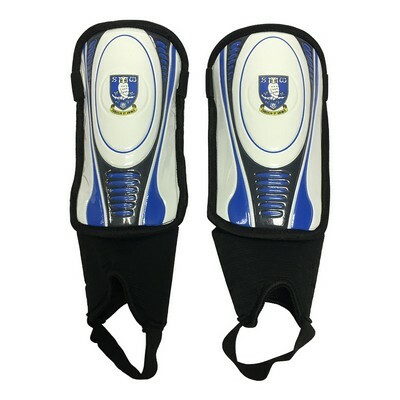 Pair of shin guards. Available in sizes Boys and Youths. Detachable ankle protection. 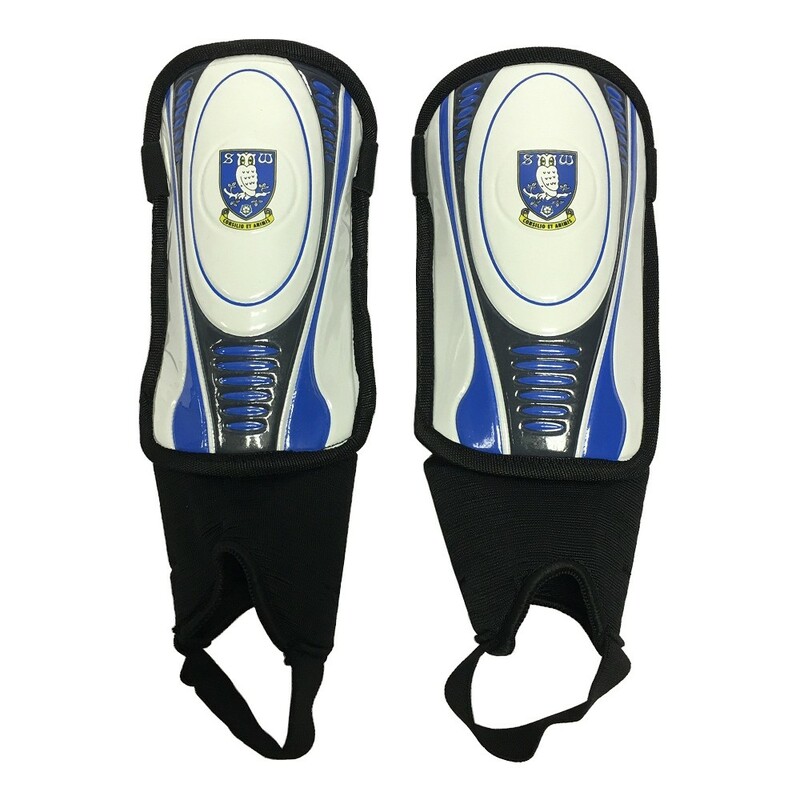 100 percent polyester with embossed plastic shell.